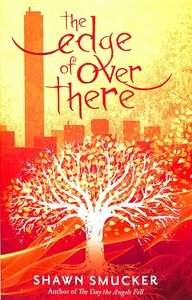 About "The Edge of Over There"
Tim Kreider is passionate about helping people find healing and wholeness. He shares his story at churches, businesses, youth groups and other gatherings, and he started a non-profit organization called Also-Me that encourages people not to live life alone. He lives in Womelsdorf, PA with his wife Lynn. Shawn Smucker is the author of eight books, including Dying Out Loud, How to Use a Runaway Truck Ramp, and Building a Life Out of Words. He loves helping people share their stories. Shawn lives in Holtwood, PA, with his wife and four children.